A woman has been taken to hospital after being found face down on the beach at Ramsgate in the early hours of this morning (August 18). Ramsgate RNLI launched at the request of UK Coastguard at 2.05am to assist with a person near the water edge at the back of the harbour clock tower. HM Coastguard and the fire service also attended the scene. Once on scene, the casualty, aged in her 20s, was found to be face down on the beach at the back of the Maritime Museum with the rising tide reaching her feet. 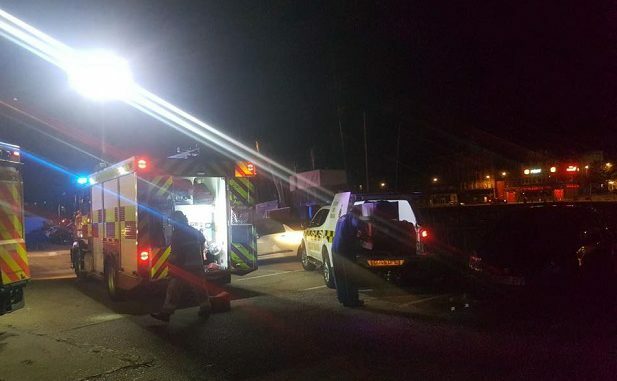 The attending fire service and mobile coastguards were already getting the casualty into the ambulance service stretcher, but were unable to get the casualty up onto the harbour wall. The casualty in the stretcher was then placed in the lifeboat and taken a short distance to the fisherman’s slipway, where they were able to be carried to the awaiting ambulance. The woman was stabilised by paramedics and taken to hospital. South East Coast Ambulance service has been asked for further details.